Herbalism is something that begins at home. It is the knowledge of treating ourselves with the healing power of herbs. These herbs can be from far off exotic lands or those growing locally. Here in Maine, the backyard is currently covered with a thick white blanket that has tucked the herbs in for a long winter’s rest. This is the way of the land. For Maine herbalists, however, this doesn’t end our ability to practice herbal medicine. Even if we run out of all the preserved herbs from the warmer days of summer, we still have ample sources of highly medicinal herbs throughout the cold months of winter. Herbalists know just where to look for the secret stash to sustain those in need and the journey takes us no further than the kitchen cupboard. No matter where the herbalist is, there is always beneficial medicine found in the kitchen. 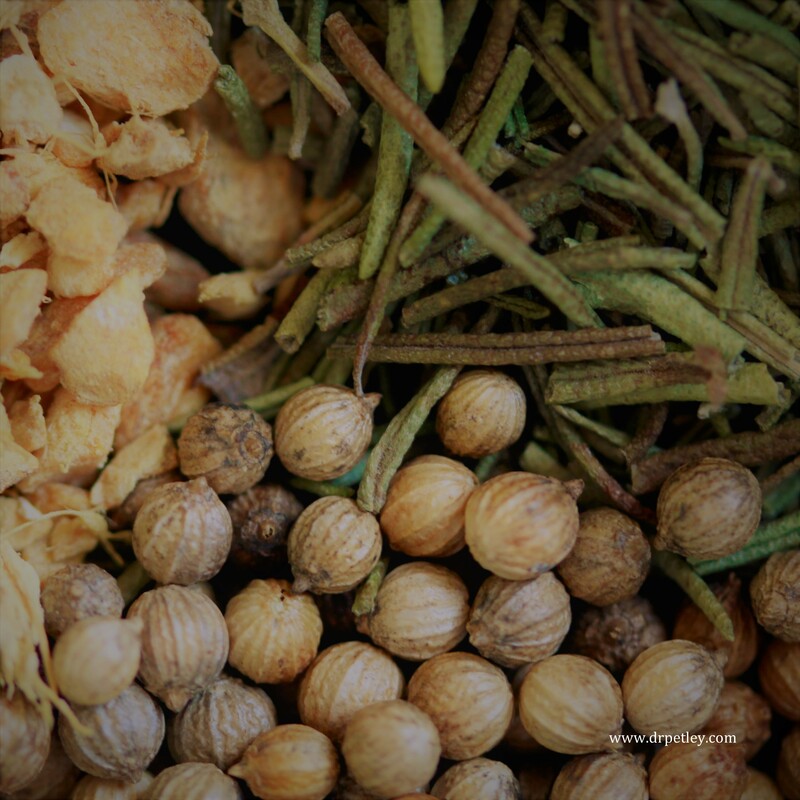 Kitchen herbs and spices are too often referred to as nothing more than culinary ingredients. However, herbalists know there is a world of usage beyond the flavors these herbs provide. The herbs and spices most notably stored in the spice cabinet are full of volatile oils that readily release their scent when crushed, steeped, or cooked. These oils are not just aromatic, though, they are also medicinal. Herbalists over the eons have learned how to harness these aromatic herbs to treat common complaints like an upset stomach, sore throat or common cold. The same oregano that you used for dinner last night and the cinnamon you added to your breakfast this morning hold potent medicinal properties, when used correctly and appropriately. Herbalism is the knowledge of how to, how much to, when to, and when not to use these herbs medicinally. This knowledge is typically taught in herb apprenticeships where students receive not only academic knowledge but hands-on guidance. Here is a short list of herbs that you likely know and might already have available in your kitchen cupboard. The information provided is to introduce the wonders of the spice cabinet, not treat or diagnose any condition without the guidance of a practitioner trained in herbal medicine. Ginger: This is a common rhizome that is easy to find fresh or dried. Both work great but I mostly reach for fresh ginger. Here’s a tip to keep your fresh ginger around longer – store it in the freezer and when needed, simply grate or chop with a sharp knife. Ginger is considered warming and anti-inflammatory making it a useful remedy for the winter chills or the common cold. The use of ginger has been proven as an anti-nausea remedy and can be sipped as needed throughout the day for an upset stomach. To make a tea, place one tablespoon of freshly chopped ginger in eight ounces of water. Simmer on the stove for ten minutes. Strain as you pour it into your favorite mug, unless you like to nibble on the potent ginger pieces as you drink. Fennel, Coriander, and Cumin: Herbalists classify these spices as carminatives, meaning they help relieve abdominal gas and bloating. They have a long history of use as an after-dinner remedy either singly or in combination. My favorite recipe is simple: combine one teaspoon each of the whole seeds of fennel, coriander, and cumin in a small jar. I like to chew a quarter teaspoon of the blend whenever I overeat and repeat as needed up to four times. For those who don’t like the idea of seeds getting stuck in their teeth, the same mixture can be made into a tea and sipped after dinner. To make, place one teaspoon of the blend in eight ounces of just boiled water and steep covered ten minutes. Strain and enjoy. Sage, Oregano, Thyme: These herbs contain volatile oils that are effective against many viruses and bacteria. A strong tea of any of these herbs or in combination can be used as gargle for a sore throat. To make, place one tablespoon of the chosen herb or a teaspoon of each of these in eight ounces of freshly boiled water and steep covered until cool to the touch. Strain and gargle with a small sip of the tea throughout the day. Avoid using powdered herbs for this tea because they are difficult to strain well and could feel like swallowing sandpaper. Some herbalists will dissolve a teaspoon of salt into the strained but still warm tea to further improve the properties of the gargle. The volatile oils that are carried through the steam of the tea can help with a stuffy nose. To try this, make the same tea as above (no salt) but instead of covering it while steeping, either breathe in the steam as it rises or create a tent using a cloth towel placed over your head and the shallow pot of the tea. Breathe in slowly through the nose. Keep in mind that when using herbs medicinally they must be of high quality. This means that if your sage was purchased at the turn of the century, it is no longer considered medicinal. They should be stored in glass jars away from heat, light, and humidity. These are all factors that cause the aromatic oils to evaporate faster and mar the potential of the herbs. For optimum flavor and medicinal value, store the seeds and leaves in their whole form and only grind them when needed in a recipe (except for cinnamon, of course, which does not powder easily). Another reason to store whole herbs and spices is because the powdered form is difficult to strain when making tea. Using herbs medicinally sometimes means consuming larger doses than a pinch or two at a time, so buy organic when available. Above all, never underestimate the simple or the mundane.